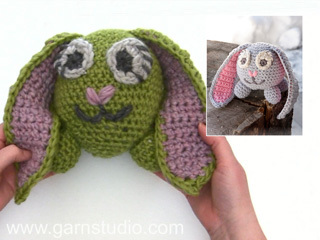 In this DROPS video we show how to crochet leg, ear and eye to the Easter bunny in DROPS Extra 0-1251. 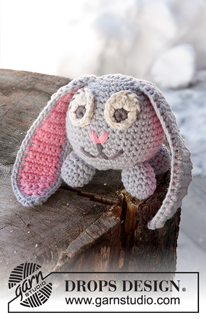 This Easter Bunny is made in DROPS Paris, but in the video we crochet with a thicker yarn, DROPS Eskimo. 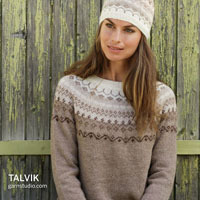 You must read the pattern to be able to follow this video properly. You’ll find the pattern by clicking on the picture below.